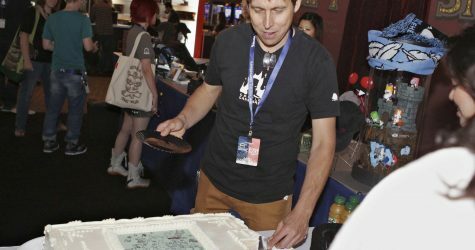 Five years ago, we launched our 3rd game, BattleBlock Theater! 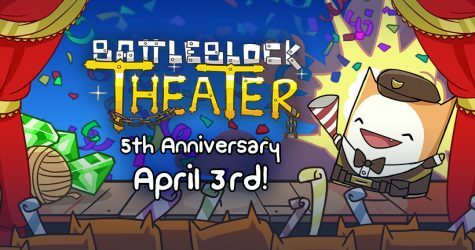 For our 5th Anniversary, we have a giveaway for a BattleBlock Theater tee and a speedrunning event to tune into on April 3rd! We remember it like it was a year ago: We sailed the stormy waters looking for an island made entirely of candy, and ended up on the adventure of a lifetime. Today’s the one-year-anniversary of our BattleBlock Theater release!